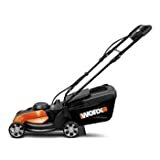 Rating – The average user rating on Amazon. 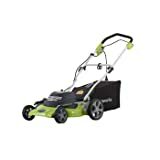 If a lot of people liked the product and left positive feedback, the product ranks higher as it has a strong consumer approval rating. 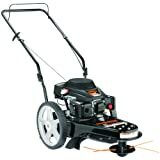 Type – This identifies whether the machine is cordless or not. 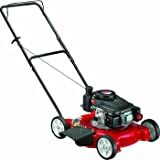 Most machines are powered with gas, electricity or battery. 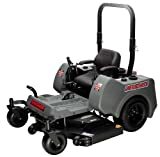 Power – This provides how much power the machine runs. 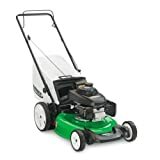 If it’s run with electricity, the power is measured by AMP; gas with CC and battery with Volts(V) or indicated as manual if it’s not powered by electricity or gas. 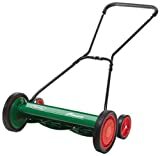 *Click on any of the columns to sort the data to help make your decision easier. 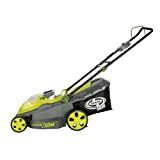 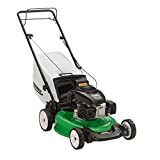 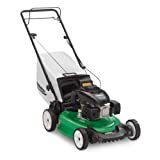 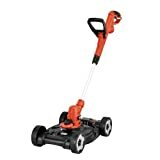 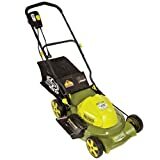 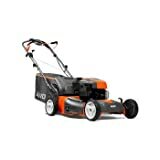 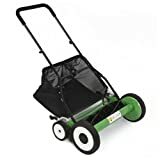 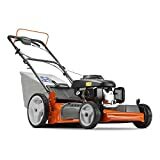 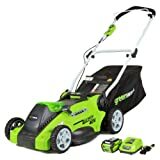 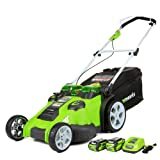 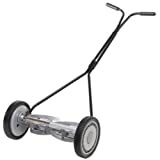 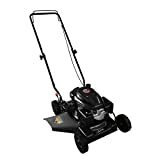 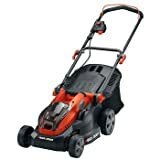 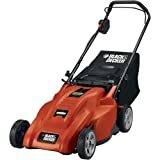 4.3 $$ Corded 12AMP 20"
4.2 $$ Corded 12AMP 14"
GreenWorks 25302 Twin Force G-MAX 40V Li-Ion 20-Inch Cordless Lawn Mower with 2 Batteries and a Charger Inc.
4.2 $$ Cordless 40V 20"
4.4 $ Corded 6.5AMP 12"
4.4 $ Cordless 20V 12"
3.9 $$ Gas 144cc 21"
5 $ Gas 125cc 20"
3.8 $ Cordless Manual 20"
4.6 $$ Corded 10AMP 16"
4.1 $$ Gas 140cc 21"
4.2 $$ Gas 140cc 21"
4.2 $$ Gas 144cc 21"
4.3 $$ Gas 140cc 20"
4.4 $ Cordless Manual 16"
4.1 $$ Cordless Manual 18"
3.7 $ Cordless Manual 16"
4.2 $$ Cordless 36V 19"
4.4 $$ Gas 144cc 21"
4 $$$ Cordless 36V 19"
4.2 $$ Gas 160 OHC 21"
4 $$ Cordless 24V 14"
4.1 $$ Corded 12AMP 18"
4.2 $$$ Gas 190cc 22"
4 $$ Gas 190cc 22"
3.8 $$ Gas 149cc 22"
4.5 $$ Corded 12AMP 20"
4.2 $$ Corded 12AMP 20"
4.3 $$ Corded 6.5AMP 18"
4.2 $ Corded 9AMP 18"
4.4 $$ Corded 8AMP 14"
4.3 $ Cordless Manual 18"
4 $$ Cordless 36V 18"
4.4 $$ Cordless 40V 16"
4.1 $$ Cordless 24V 14"
3 $$$$ Gas 500cc 42"
3.1 $$$$ Gas 16.5 HP 30"
3.2 $$$ Gas 190cc 24"
$$$$$ Gas 27 HP 61"
5 $$$$$ Gas 24 HP 60"
4.7 $$$$$ Gas 27HP 66"
5 $$$$$ Gas 724cc 46"
5 $$$$$ Gas 24HP 60"
4.6 $ Corded 10AMP 14"
4.3 $ Cordless Manual 14"
4 $$ Gas 6.25 torque engine 21"
4.5 $$ Corded 13AMP 21"
GreenWorks 25322 G-MAX 40V Li-Ion 16-Inch Cordless Lawn Mower, (1) 4AH Battery and a Charger Inc.
4.2 $$ Cordless 40V 4AH 16"
4.2 $$ Cordless 40V 19"
3.7 $ Cordless Manual 20"
4.9 $$ Gas 159cc 22"
4.6 $$ Cordless 40V 16"
4 $$ corded 12AMP 19"
4.2 $ Cordless Manual 14"
4.2 $$ Cordless Manual 17"
4.2 $$ Gas 140cc 22"
3.5 $$ Gas 160cc 22"
4 $$ Cordless 36V 19"
Best Choice Products® Lawn Mower 20" Classic Hand Push Reel w/ Grass Catcher 6 Adjustable Height 20"
3.5 $ Cordless Manual 20"
3.9 $ Cordless Manual 13"
3.7 $ Cordless Manual 18"
3.8 $$$ Gas 190cc 22"
3.5 $$ Corded 12AMP 19"
4 $$ Corded 12AMP 13"
4 $$$ Gas 190cc 22"
3.7 $$ Gas 150cc 22"
4.5 $ Cordless Manual 16"
4 $ Cordless Manual 16"